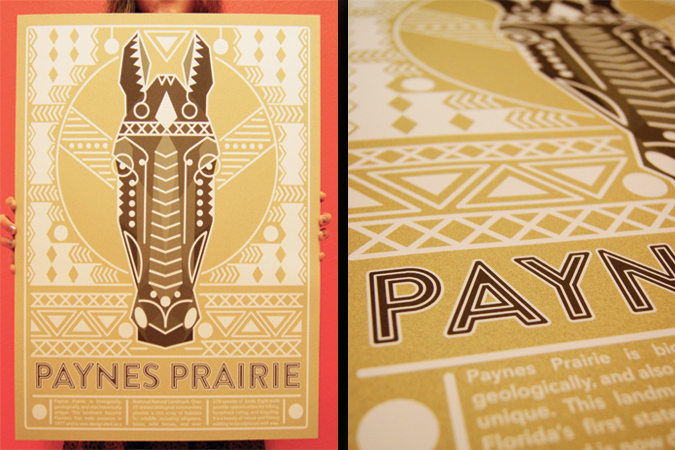 This project is an awareness poster for Paynes Prarie, and I really wanted to make the design elements relevant to the subject. The horse represents fauna, and the connection that horses historically have with the prairie. The seminole patterns also give historical value to the design while providing visual interest that the ‘hip crowd’ will understand in modern day life.